SATURDAY MARCH 19 1 P.M. – 5 P.M. Satisfy your sweet tooth at our indoor sugar shack! 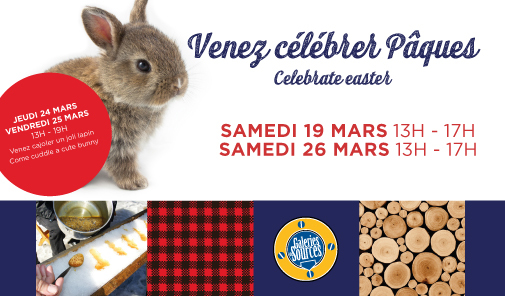 SATURDAY MARCH 26 1 P.M. – 5 P.M.
Come craft and cuddle your cute bunny at the bunnies’ land!